KRESS | KRESS is the source for all your employment screening needs. In observance of Good Friday, KRESS will be closed on Thursday, April 18 at 4 p.m. We will return to our normal business hours on Monday, April 22. Need to download a report or access your account? Our online system is available 24/7. If you have any questions or concerns, give us a call. From our team to yours, have a safe and happy weekend! A single pre-employment background check may not be enough to keep criminals out of your workplace. Eliminate potential liabilities with our rolling background checks, continuous background checks, and infinity screening services. 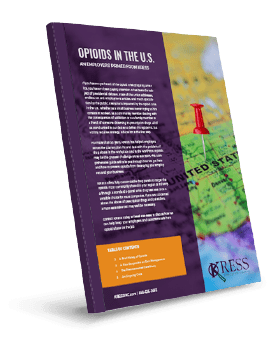 The opioid crisis presents a major threat to the health and safety of the American workforce. Discover how this crisis started and how to protect your business from it. Meeting compliance standards can be challenging. Our compliance experts are ready to answer all of your questions, guide you through the compliance process, improve your efficiency, and help you maintain strict regulatory compliance. At KRESS, we focus exclusively on pre-employment screening and employee screening. For screening to be in compliance, it must adhere to standards set by federal and state governments, and some large corporations. Click to learn more about how KRESS ensures 100 percent compliance for our clients. 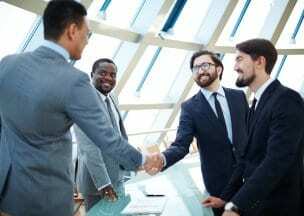 Is your applicant really who they say they are? Our skilled research specialists verify all information supplied by your applicants. Background checks allow employers to make a fully informed hiring decision. We provide accurate information to aid your hiring process. More than 39 percent of all educational credentials are falsified on résumés. KRESS can ensure that all licensing, education, and work history are valid. Employees abusing drugs are 10 times more likely to miss work. We offer random, pre-employment, post-accident, and DOT drug testing. There are no set up fees, no contracts, and no minimums. We offer fast, reliable information and real customer service to employers of all sizes, in every industry. Whether you need one background check a year or one hundred per day, KRESS is the source for all your employment screening needs. 200 countries and counting. Maintaining a consistent screening policy across borders and oceans can be challenging. KRESS Global Solutions can help apply standards and measures in your screening throughout the process, across countries, and multiple locations. We strive for extraordinary customer service. We have been delivering quality background services for more than 25 years, providing our customers with peace of mind and the competitive advantage that comes with accurate information. Our easy, online ordering system enables you to order background checks and drug screens within minutes.